➦In 1935...the CBS Radio Network first aired "Mrs. Wiggs of the Cabbage Patch". 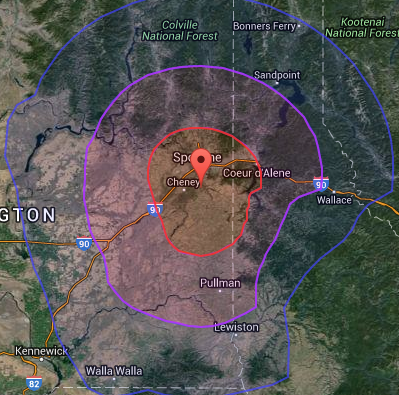 ➦In 1927...KGA-AM, Spokane, Washington began broadcasting. KGA was a successful country music outlet for most of its life until 1994, when it switched to a news/talk format. On July 15, 2008, KGA reduced its nighttime power to 15,000 watts, changed its class from Class A to Class B (Class A stations are required to operate at 50,000 watts at all times) and changed its directional antenna system, all so that its sister station KSFN 1510 AM in Piedmont, California, which serves San Francisco could increase its nighttime power to 2,400 watts, up from 230 watts. ➦The justification for this change was gaining several hundred thousand potential listeners in San Francisco while sacrificing a few thousand potential listeners in the Pacific Northwest. The hope for a larger audience did not materialize. Today, the station airs CBS Sports Radio Network. ➦In 1940...one of the many Frank and Anne Hummert radio soap operas, ‘Amanda of Honeymoon Hill‘ began it six-year run, the first half on NBC Blue, and then on CBS. ➦In 1976...Fleetwood Mac released the single "Rhiannon (Will You Ever Win)" in North America. ➦In 1977…Fleetwood Mac released "Rumours." ➦In 1978..."Stayin' Alive" by the Bee Gees peaked at number one on the pop singles chart. ➦In 1983…Radio announcer (WHN- New York, WQXR-New York, The Chase And Sanborn Hour) Jim Ameche, radio's original Jack Armstrong on "Jack Armstrong, the All-American Boy," died of lung cancer at age 67. He portrayed Alexander Graham Bell in the 1957 film The Story of Mankind, the role his older brother Don had played in the film biography of Bell in 1939. The two brothers' faces and voices were a close match. ➦In 1992...veteran actor John Dehner died from emphysema & diabetes at age 76. On radio he had played a succession of bad guys on Gunsmoke, Escape & other dramas, and was the star of two 1950’s westerns, Frontier Gentleman and Have Gun Will Travel. On television he had recurring roles on The Doris Day Show, Gunsmoke, The Don Knotts Show, The Virginian, The Colbys, Baileys of Balboa, Rawhide, Tales of Wells Fargo, The Winds of War. ➦In 1996...WYNY 103.5 FM, NYC drops Country. In September 22, 1988 at 5:30pm, a frequency swap took place between WYNY 97.1 and 103.5. 103.5 became country as WYNY "Country 103.5" and 97.1 became WQHT "Hot 97." DJ's during this time included Joe Marino, Jim Kerr, Dan Taylor, Kim Ashley, Bill Walker, Del DeMontreux, Jesse Walker, Frank Sata, Bill Rock, and Ray Rossi. Charlie Cook became the PD in 1992, replaced by Johnny Michaels, Fred Horton, Rusty Walker, and finally Chris Kampmeier (now Operations Manager for iHeartMedia/Orlando). The last song played on WYNY was Garth Brooks', "The Dance." WKTU now features a Rhythmic/Dance CHR format. ➦In 2004...11 years ago, Facebook was launched as a social networking Web site limited to Harvard University students. ➦In 2009...Eddie Schwartz died at age 62. Schwartz worked late night and overnight at WGN 720 AM, Chicago from 1982 to 1992. According to The LATimes, the main trigger was growing concern about rising interest rates and inflation, and their impact on stocks going forward, as the yield on the 10-year Treasury note reached its highest peak in four years, analysts said. But they said that many of the fundamental factors that have driven stocks higher — including rising corporate earnings — remain intact, and that Friday's trading had no signs of panic selling. Indeed, they said the pullback was not surprising given the market's remarkable surge of the last 12 months, which extended a nine-year bull market in stocks. "The fundamentals are still OK," said Patrick O'Hare, chief market analyst at the investing website Briefing.com. "The easy money had been made, and it will be more challenging to extend the gains as interest rates move higher." 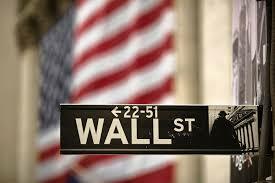 The Dow Jones industrials fell 665.75 points to 25,520.96. That was the worst point drop since the blue-chip average fell 678.92 points on Oct. 9, 2008, in the midst of the nation's financial crisis. Media stocks, with a few notable exceptions, were battered Friday. 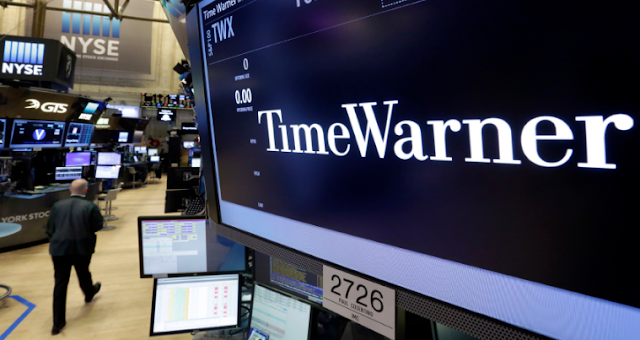 Of the 50 stocks tracked by The Hollywood Reporter, 39 of them were down on Friday, including Walt Disney (off 2 percent), Time Warner (down 3 percent), CBS (off 6 percent), Viacom (down 4 percent), Comcast (off 2 percent) and 21st Century Fox (down 1 percent). Sony, which recently posted stellar quarterly earnings, especially in its entertainment division, was the only major media conglomerate to trade higher on Friday, closing up 6 percent. Other exceptions Friday included Netflix and Amazon, up 1 percent and 3 percent, respectively. 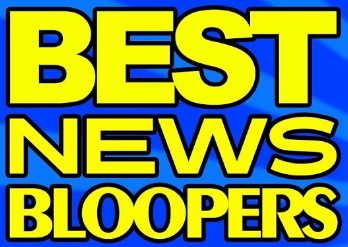 Both of those new-media powerhouses recently reported good quarterly earnings. 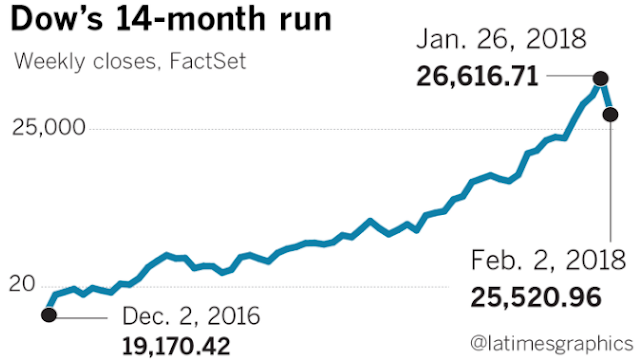 The stock market has been on a roll since Donald Trump's election to the presidency — and the president often tweets about the bull market — but media stocks have largely not participated in the run-up. On Friday, some analysts were saying the plunge was a market "correction" as they expect that recent tax cuts should keep the economy humming. A new Wall Street Journal/NBC News poll depicts a developing nightmare for the National Football League: Its core audience is losing interest rapidly, a potential threat to the league’s dominant role in American culture. According to wsj.com, the poll shows that fans are following the sport less closely, even in key demographics, such as young men, that historically propelled the league’s growth. At the same time, parents increasingly want their children to turn away from football amid growing worry about player safety and the league’s efforts to address it. The problems are taking a heavy toll. Adults who report following the NFL closely has dropped 9% since 2014, the poll finds. More alarming for the league, however, is the makeup of the people moving away from the NFL in large numbers: Just 51% of men aged 18 to 49 say they follow the NFL closely, down from 75% four years ago. The poll did not ask respondents why their interest changed. The Journal/NBC News poll interviewed 900 adults from Jan. 13-17. The margin of error for the full sample was plus or minus 3.27 percentage points. The drop offs, according to the poll, also crossed political lines. Base Democrats who follow the league closely fell by 16 points versus four years ago, while it was 14 points for base Republicans. Beyond the scope of the NFL, the poll also revealed that parents are increasingly uncomfortable with the idea of their kids playing football, prompted by a surge in information about the dangers of head injuries. In 2014, 40% of mothers said they would encourage their child to play a sport other than football due to concerns about concussions. That figure has now climbed to 53%. Democrats, the poll found, expressed these concerns with head injuries more frequently than Republicans. There is a lot of spending activity around the Super Bowl, the biggest sporting event of the year. Westwood One and Vision Critical/MARU have collated some new, never-released data about the spending habits of Super Bowl fans. Where are they dropping their dollars? What’s in their shopping carts? Check out our attached infographic and blog post about the fans, their shopping habits, party prep, and how they listen to the Big Game. 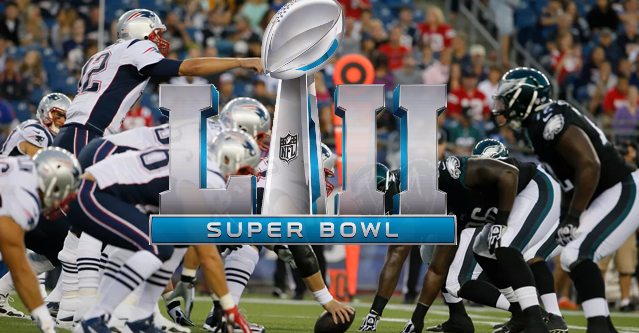 Super Bowl fans are on the move: According to NRF’s latest Annual Super Bowl Spending Survey, one-third of Super Bowl fans are planning to attend a party or watch the game at a bar or restaurant. 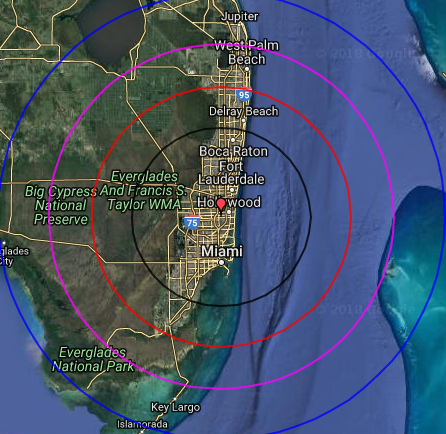 AM/FM radio is there with them with 74% of Westwood One Super Bowl listening occurring away from home and 68% of all radio time spent going to AM/FM radio. Super Bowl fans are big spenders: Up 8.5% from last year, Super Bowl fans are projected to spend a massive $15.3 billion this year, according to the NRF. That money is mostly going to food and beverage with 82% of fans planning to stock up for the weekend. Super Bowl fans wear their team pride: In a new survey, Westwood One and Vision Critical/MARU find that half of Super Bowl fans are planning to wear their favorite team’s jersey on game day to cover their Super Bowl superstitions. Super Bowl snacking is serious: As the 2nd most popular day for food consumption, Super Bowl snacking is no joke. Beer, chicken wings, and pizza will all see huge numbers in purchases this weekend. But what snack foods do fans think should be uninvited? New Westwood One and Vision Critical/MARU data shows that fans think carrot sticks and corn dogs should get the boot along with deviled eggs and bean dip. 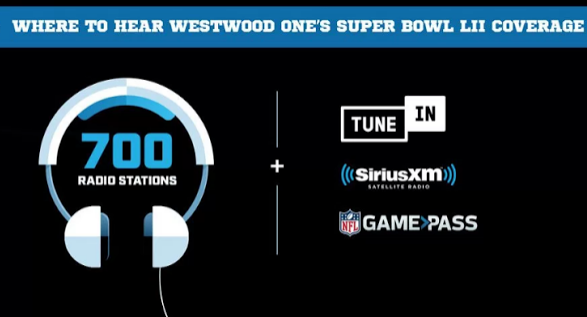 Westwood One is the official network radio partner of the NFL and will broadcast live Super Bowl LII game coverage and from U.S. Bank Stadium in Minneapolis on Sunday. David Mueller, who lost his job at Deneer's KYGO 98.5 FM, for groping superstar Taylor Swift, says he is "very grateful" for a new gig at WMYQ 92.1 FM in Greenwood, MS. The 56-year-old told the Greenwood Commonwealth that he had difficulty finding work in a big-city radio market. He started his job Monday in Greenwood, home to about 14,000 people in the rural Mississippi Delta. "I never wanted to leave radio from the moment I was out on the street with no job and no income," he said. In a civil lawsuit, a federal jury determined Mueller assaulted and battered Swift by grabbing her under her skirt as they posed for a 2013 photo in Denver. Mueller, who goes by "Jackson" on air, still denies that. He began co-hosting the "Jackson and Jonbob" show this past Monday. Delta Radio CEO David Fuss, which owns WMYQ, says he believes Mueller's side of the story. 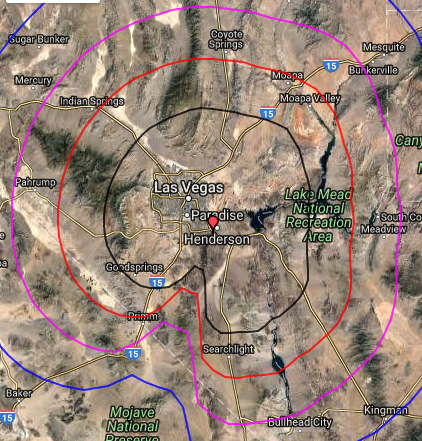 Delta Radio is based in Las Vegas and owns nine radio stations. iHeartMedia/Las Vegas announced Friday that Wayne “Big D” Danielson has been named Program Director for KWNR 95.5 FM The Bull. As Program Director, Danielson will work closely with on-air personalities and sales to oversee the station brand’s on-air and digital programming, as well as local events and partnerships. He will report to Tony Matteo, Regional Senior Vice President for iHeartMedia Central California/Nevada. Danielson joined 95.5 The Bull from iHeartMedia Las Vegas’s 93.1 The Party in August 2016. 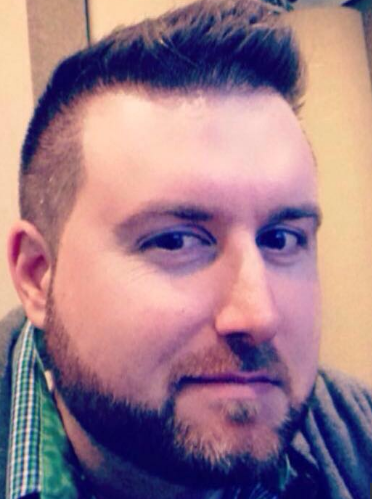 He has also previously served as a night personality at 101.3 KDWB, Twin Cities’ No. 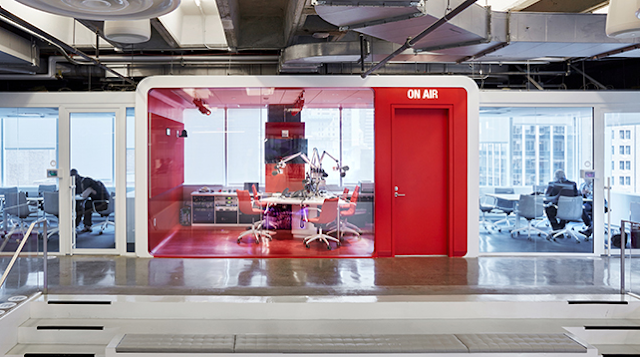 1 Hit Music Station, in Minneapolis. Danielson began his career at KCLD-FM in St. Cloud, Minnesota. 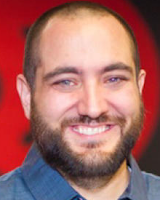 Entercom has announced that William “Will” Althoff has been named Afternoon Drive Host and Music Director for WSFS 104.3 The Shark FM, South Florida’s Alternative. The new show will air weekdays from 3:00 p.m. to 7:00 p.m. and Saturdays from 6:00 p.m. to 9:00 p.m.
“Will is an exciting addition to our Afternoon Drive on the Shark. His background and expertise in connecting with the audience makes him the perfect fit for our station,” said Keriann Worley, Senior Vice President and Market Manager, Entercom Miami. 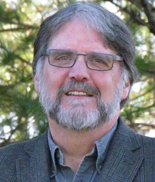 Cherry Creek Media/Wenatchee WA has announced that Jerry Ramsay is the new Operations Manager for it seven-statoin cluster. The cluster consists of Country KYSN, Classic Rock KPQ 102.1 FM , CHR KWWW 96.9 & 102.9 FM, Hot AC KQBG 99.5 FM , News/Talk KPQ 560 AM, Talk KKWN 106.7 and Sports KYSP 1340 AM. Ramsay will also handle PD/morning duties for KYSN. He succeeds Brandon Young in the OM/PD roles following Young's departure last month for the PD gig at Alpha's CountrY KYKX/Longview, TX. "Jerry brings multiple format experience, a lot of enthusiasm, on top of being a talented morning personality," said Cherry Creek Group PD Mark . 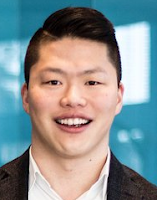 "He’s the complete package that we look for at Cherry Creek Media; we’re excited to have Jerry on board." He was most recently OM for Ingstad Radio in Yakima, WA. An effort is underway to stop a Little Rock radio station's annual "Babe Bracket," which allows listeners to vote on 16 local female television anchors in a beauty and popularity contest sponsored by a lingerie shop, reports The Associated Press. KARK-TV's news director, Austin Kellerman, who once supported the contest, wrote in a blog post Thursday that it was time to end the competition, which is modeled after the NCAA men's basketball tournament known as "March Madness." He and some listeners to the morning call-in radio show say the contest, which started in 1997, doesn't acknowledge the women's professional accomplishments and wrongly concentrates on their attractiveness and personality. Others say there's nothing wrong with it. The contest begins each March with 16 women in eight pairs. Listeners to Sports Talk KABZ 103.7 FM show titled "The Show With No Name" vote on which women they like best. Eventually, 15 are eliminated. Past winners have received a crown and flowers. Stephanie Sharp, an anchor at KARK television, said that amid an international backlash against sexual harassment, the contest is outdated. "I know it's all in good fun and no one is hurt, but it's 2018. It's not how we're supposed to be comparing professional women," she said. "And it's sponsored by a lingerie shop. It kind of tells you what they're going for." A former winner of the contest says she doesn't have a problem with it. "If the Babe Bracket helps me promote things that are important to me, I would say, 'Sign me up every year,'" said Donna Terrell, a KLRT anchor who has used her appearances to tout a charity she set up to fight colon cancer, which took her daughter's life. The Sony Corporation’s music operations reported a $350 million in operating income on revenues of $1.9 billion for the company’s fiscal third quarter, it announced early Friday morning. Variety reports recorded music accounted for $1.14 billion, visual media & platform brought in $599 and Sony/ATV Music Publishing $162 million), accounting for double-digit growth in all three categories. Streaming contributed 43%, with some $492m) coming from the format in the quarter, a 32.1% gain. Sony Corp. chief Kaz Hirai, a strong proponent of the company’s entertainment properties, will hand the over the CEO reins to his top lieutenant as he transitions to a new role as chairman. Kenichiro Yoshida, Sony Corp.’s chief financial officer, who is much less experienced in the entertainment world, will take over as president-CEO as of April 1. According Variety, Hirai’s resignation means that Sony’s entertainment assets are losing possibly their loudest and most powerful advocate within the company, and raises questions about their future in an era where consolidation, often on a colossal scale, is the trend of the day. Under Hirai, Sony had made an overture for some of Fox’s assets before Disney produced a bigger bid; without him at the helm, the fate of Sony’s own content businesses is uncertain. However, sources said Hirai has indicated to insiders he intends to remain involved with Sony’s U.S.-based entertainment businesses in his new chairman role. 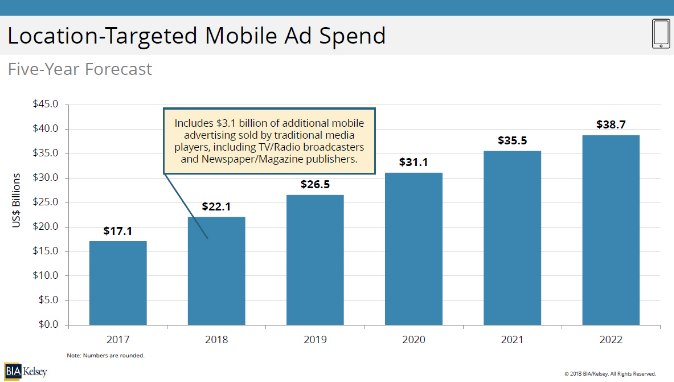 An additional $3.1 billion in mobile advertising is being sold by traditional media companies (i.e., radio, television and newspapers) in 2018. Social media ad revenue from mobile (not including tablets) now represents slightly more than 70 percent of total social ad spending, and will grow to 80 percent by 2022 as more social engagement continues to shift away from desktops. Facebook is expected to receive the lion’s share of those dollars followed by Twitter, Snap, LinkedIn, and other popular apps. Further, location targeting advertising within mobile sold by all providers (which includes pure play, radio, television and newspapers) is projected to grow from $17.1 billion in 2017 to $38.7 billion in 2022, a 17.8 percent compound annual growth. 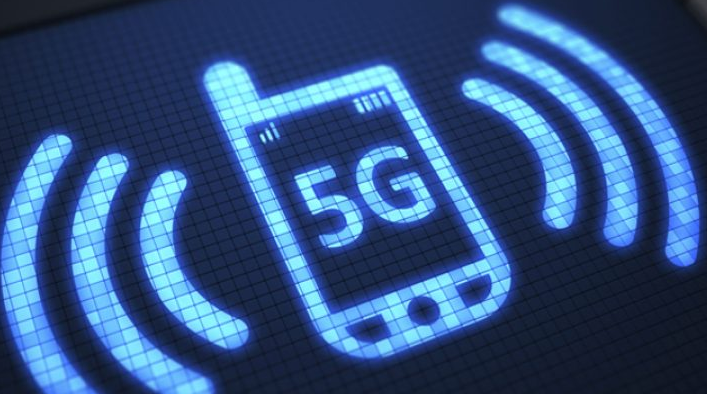 The author of a memo arguing for a government takeover of development of the nation’s 5G mobile network has been removed from the National Security Council staff, according to The Washington Post. The memo’s unauthorized release this week caused uproar in the telecom community and created embarrassment for the White House. Air Force Brig. Gen. Robert Spalding is no longer serving as NSC senior director for strategic planning. Spalding was not fired, according to the official, who said his detail had ended and was not renewed. Spalding was not implicated in the leak of the memo, but officials said his advocacy for the plan had gone beyond his role, contributing to the NSC leadership’s decision to send him back to the Air Force. Whoever says the news is too troubling...needs to watch! 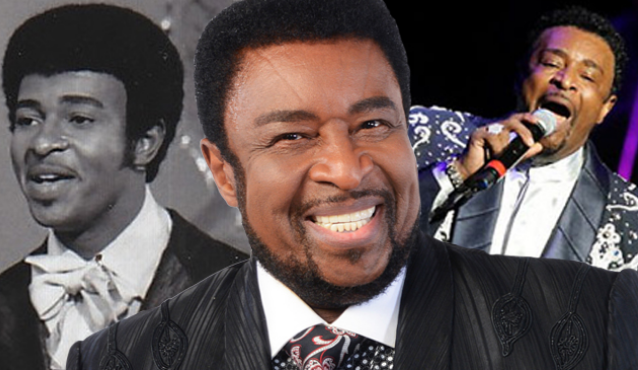 Dennis Edwards, who became a lead singer of the Motown hitmakers the Temptations in 1968 as they embraced psychedelic funk and won Grammy Awards for the songs “Papa Was a Rollin’ Stone” and “Cloud Nine,” died on Thursday in Chicago. He was 74, according to The NYTimes. Before joining the Temptations, Mr. Edwards sang with another Motown group, the Contours, best known for their 1962 hit “Do You Love Me” (recorded before he joined them). The Contours opened for the Temptations in the late 1960s, and when the Temptations’ lead singer David Ruffin left the group in 1968, he was asked to take over. Shortly after Edwards joined the group, the Temptations won their first Grammy, for the propulsive, upbeat “Cloud Nine” (1968); they won another for the funk anthem “Papa Was a Rollin’ Stone” (1971). That song, like two other Temptations hits from that period — “I Can’t Get Next to You” and “Just My Imagination” (on which Mr. Kendricks sang lead) — reached No. 1 on the Billboard pop singles chart. The group received a lifetime achievement Grammy in 2013. Edwards left the Temptations in 1977 to pursue a solo career but rejoined them some years later. In 1989, he was inducted into the Rock & Roll Hall of Fame, along with the five members from the Temptations’ mid-1960s heyday. ➦In 1927...the FCC, then known as Federal Radio Commission, was created by a law signed into effect by U.S. President Calvin Coolidge. ➦In 1938...the kids radio adventure drama Challenge of the Yukon (about Sgt. Preston & his ‘wonder dog’ Yukon King) debuted in a 15 minute format on WXYZ Detroit. It completed George W. Trendle’s trilogy of juvenile adventures preceded by The Lone Ranger and The Green Hornet. The show went to the networks (ABC, then Mutual) in 30 minute form 1947 to ’55. ➦In 1938...the comedy team of Abbott & Costello made their debut as cast members on CBS Radio’s “The Kate Smith Hour.” They remained with the weekly program for two years while their film career got underway. ➦In 1959…At about 1:00 a.m. CST, shortly after taking off from the Mason City, Iowa airport, the chartered airplane containing Buddy Holly (Peggy Sue, That'll Be The Day), Ritchie Valens (Donna, La Bamba), and the "Big Bopper" J.P. Richardson (Chantilly Lace), crashed into an Iowa field, instantly killing all three and the pilot Roger Peterson. Headed for the next "Winter Dance Party" tour stop in Fargo, North Dakota, the plane had been chartered by Holly so that the band members could travel in heated comfort (their tour bus had a broken heater) and arrive early for the next show. The pilot, not informed of worsening weather conditions, decided to fly "on instruments," meaning without visual confirmation of the horizon, which led to the crash. ➦In 1968…At EMI's Abbey Road Studios in London, the Beatles began recording "Lady Madonna." All four of them played and/or sang on the track, with four studio musician saxophonists added, finishing February 6. Issued in mid-March, the single was their last release on Parlophone in the UK and Capitol Records in the U.S. All subsequent releases, starting with "Hey Jude" in August 1968, were issued on their own Apple Records label. ➦In 2003...Recorded producer Phil Spector was arrested for allegedly murdering actress Lana Clarkson in his Alhambra, CA home. Spector remained free on $1 million bail while awaiting trial, which began on March 19, 2007. The retrial of Spector for murder in the second degree began on October 20, 2008, with Judge Fidler again presiding. The case went to the jury on March 26, 2009, and nineteen days later, on April 13, the jury returned a guilty verdict. In addition, he was found guilty of using a firearm in the commission of a crime. Spector was immediately taken into custody and was formally sentenced, on May 29, 2009, to 19 years to life in the California state prison system. Ron Morgan came to St. Louis in 1973, taking an on-air position on Pulitzer powerhouse KSD. It was the beginning of a stay in St. Louis radio that would span nearly twenty years. Known as "Morgan in the Morning," he peppered his programs with droll humor supplemented with an infectious laugh and gave his program team plenty of opportunities to share the spotlight. He also did mornings at KSD-FM and KLOU, as well as other shifts at KMOX and KHTR. Morgan was also program director at CBS-owned KLOU when it hit the air with an oldies format, giving the station a strong group of personalities to complement the music, and he served as operations director at KSD-FM. Ron Morgan was visible in the community as a long-time supporter of the Easter Seals Society. Cox Media Group (CMG) has named Tim Clarke to a newly created role as VP of Audience and Content, effective immediately. Clarke will set the overarching content strategy for radio — programming, new content development, content distribution, audience growth and measurement. CMG’s Vice President of Programming, Steve Smith, will continue in his critical role to oversee CMG Format Leaders and work directly on radio programming with radio stations and brand managers. Smith will report to Clarke in this new structure. Clarke will also work with the CMG Digital team and industry partners to drive digital innovation for CMG Radio and all CMG stations. “With Tim in this role, along with CMG’s dedication to strong and innovative programming, I’m confident that CMG will continue to set our properties apart over the air and online as the best in the industry,” said Executive Vice President Bill Hendrich. Prior to his new role, Clarke served as Sr. Director of Digital Audience for Radio, driving digital brand strategy and engagement at CMG’s radio stations. In Tampa, Clarke was the Program Director at HOT 101.5, launching the station in 2011. His career with CMG also includes working as Program Director at WAPE in Jacksonville, Fla., and Music Director at WBLI in Long Island, N.Y.
iHeartMedia Inc. which failed to make a $106 million bond payment due Thursday, now has 30 days to work out an agreement with investors to restructure its debt or face bankruptcy. According to The San Antonio Express-News, the company hasn’t had much luck in negotiations with some of its bondholders and lenders on a possible pre-bankruptcy deal. Some investors have reportedly been reticent to give the company any concessions, figuring they will recover more money if iHeart files for bankruptcy. The investor group, in fact, rejected its latest distressed debt exchange offer, the company said in a December filing with the Securities and Exchange Commission. Marketwatch is reporting the company likely has the cash to make the payment, having made an interest payment of more than $50 million in January, but is using the 30 days as a strategic tool, Crystall said, adding that iHeart seems to be getting closer to a deal with creditors. 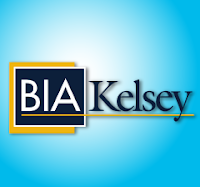 The company is likely also considering that in March it will publish its 10-K filing with the Securities and Exchange Commission, and its auditor is likely to include “going concern” language as it has in the last few filings. IHeart is not expected to be able to make payments due in 2019, when it is facing a big maturity wall in the form of two term loans valued at $6.3 billion, he said. The company’s underlying business is improving and could be sustained if the company succeeds in restructuring its debt, said Crystall. If the tax overhaul enacted in December provides an economic boost, the radio business may attract more advertising dollars, which would provide a further lift to the business. Cumulus Media Inc. has announced that it has reached an agreement with Merlin Media regarding the operation and sale of WKQX 101.1 FM and WLUP 97.9 FM in Chicago. Under the terms of the agreement, Cumulus will no longer be required to acquire the Chicago stations for approximately $50 million, and Cumulus and Merlin will temporarily extend the local marketing agreement under which Cumulus has been operating the stations while Merlin conducts a sale process for the stations. Cumulus expects operations at the stations to continue uninterrupted during the sale process. 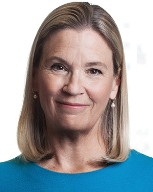 “We’re pleased to reach this mutual agreement, which establishes a clear path forward for these stations and our employees in Chicago following months of negotiations with Merlin,” said Mary G. Berner, President and Chief Executive Officer of Cumulus Media Inc.
One month after the iconic KQV 1410 AM Pittsburgh left the airwaves comes the news that its license is in the process of being sold to Broadcast Communications, Inc.
BCI’s president, Robert M. Stevens, said that in adding to his diverse lineup of stations out of North Versailles and Garrett County, Md., among others. According to the Post-Gazette, the Limited Purchase Asset Agreement between BCI and Calvary Incorporated was filed Jan. 30 and calls for a purchase price of $55,000. Calvary, co-owned or owned outright by the Dickey family since 1982, has not included in this deal its five towers and 20.5 acres of land. That property is on the market for its development value. The license sale is pending FCC approval. KQV did its final signoff as the New Year’s Eve clock wound down on Jan. 31, 2017. “I’m thrilled that someone with his business acumen is taking [KQV] over and, hopefully, bring it into the second century,” said Bob Dickey, Jr., KQV vice president and general manager. 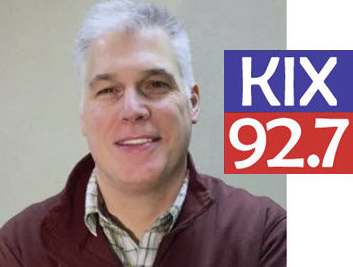 Stevens said it is too early for concrete programming decisions, but it is possible KQV’s format might be “similar to what the Dickey family was doing. But of course, we are not the same company. He added that regardless of format, the “new” KQV probably won’t be on the air until autumn. Many of BCI’s stations operate out of North Versailles, with programming reaching the eastern suburbs around Western Pennsylvania. Among its holdings are 620 WKHB, 770 WKFB, 810 WEDO, 103.1 KVE and 1570 WQTW. Warner Music Group’s revenue was up 14% (or 10% in constant currency) and digital revenue was up 20% (or 17%) in its first-quarter financial results for the period ended December 31, 2017. According to Variety, streaming represented 51% of total revenue, compared with 48.4% in the prior-year quarter. In a conference call on Friday morning, Cooper pointed to the company’s success at the Grammy Awards on Sunday — where Bruno Mars swept the top categories and Ed Sheeran won two trophies, and Warner/Chappell writers Kendrick Lamar and Chris Stapleton had strong showings — and its recent successes in the U.K. with Liam Gallagher and Dua Lipa. Recorded Music revenue grew 13.4% (or 9.6% in constant currency). Growth in digital, licensing and artist services and expanded-rights revenue was partially offset by a decline in physical revenue. Recorded Music operating income was $129 million up from $123 million in the prior-year quarter and operating margin was down 1.1 percentage points to 14.3% versus 15.4% in the prior-year quarter. Taking the first step toward a possible merger, CBS Corp. and Viacom Inc.'s boards each have formed special committees to evaluate whether a consolidation of the two media companies would benefit shareholders. According to The LATimes, CBS' decision, which came Thursday during a board meeting in Studio City, begins a process that could result in the reunification of the companies. Viacom simultaneously announced that its board also had formed "a special committee of independent directors to evaluate a potential combination with CBS Corp."
"The committee has retained independent legal counsel and is retaining independent financial advisors in connection with this evaluation," Viacom said in a statement. CBS and Viacom, both controlled by the Sumner Redstone family, were one entity until Redstone in 2006 divided his empire into two companies in a bid to generate more wealth. But now, both companies face steep challenges as consumers migrate to streaming services and other entertainment platforms. Redstone's daughter, Shari Redstone, tried unsuccessfully to combine the companies in 2016. At that time, CBS' board resisted reunification out of concern that Viacom's problems would weigh on CBS. The 2016 merger talks fell apart over issues of control and a proposed valuation of Viacom, according to people familiar with the situation but who were not authorized to speak publicly. 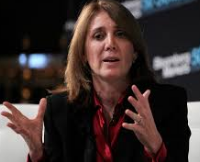 But Viacom has since improved its operations and devised a new business plan. Viacom owns MTV, VH1, BET, Comedy Central, Nickelodeon and the Paramount Pictures movie studio in Los Angeles. Analysts have been mixed on the benefits of a merger. 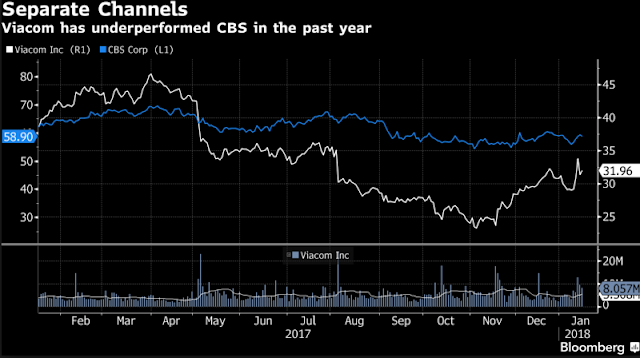 "Potential of a recombination of CBS and Viacom would provide CBS with increased scale, more diverse assets, a major studio, while it would bring many of those same benefits to Viacom," Moody's Senior Vice President Neil Begley said in a note. "The most important [benefit] would be to put a surer footing beneath Viacom while it continues to turn around its media networks and Paramount." However, Marci Ryvicker, a media analyst with Wells Fargo Securities, was skeptical. "CBS-Viacom? Um, no thanks," Ryvicker wrote in a research note last weekend. "Unfortunately, we are more afraid of the longer term value destruction — particularly at CBS, which we have historically favored given its clean portfolio of MUST HAVE content." CBS cautioned that a merger with Viacom was not a given. Apple once again beat Wall Street expectations in announcing record quarterly results — fueled by the highest revenue from iPhone sales in its history, although it sold nearly 1 million fewer smartphones than in the year-earlier period, reports Variety. For the company’s fiscal first quarter of 2018 ended Dec. 30, Apple reported revenue of $88.3 billion, up 13% year over year. Net income was $20 billion, with earnings per diluted share of $3.89, up 16% and also an all-time record. The iPhone X “surpassed our expectations and has been our top-selling iPhone every week since it shipped in November,” Apple CEO Tim Cook said in announcing the results. The iPhone X is the company’s most expensive smartphone ever, priced starting at $999 with 64 gigabytes of storage, with a new facial-recognition ID feature, an edge-to-edge display and a souped-up camera. For the December quarter, Apple shipped 77.3 million iPhone smartphones worldwide, representing $61.6 billion in sales. Unit sales of iPhones were down 1% compared with 78.3 million in the year-earlier quarter, while revenue rose 13%. CFO Luca Maestri noted on a call with analysts that Apple’s fiscal Q1 2018 was one week shorter than the 2016 holiday quarter. Apple’s services revenue also saw a healthy uptick in the most recent quarter, rising 18% to $8.5 billion. That segment includes iTunes and App Store digital content and services, Apple Music, AppleCare, Apple Pay, licensing and other services. On the earnings call, Cook said Apple Music hit all-time highs for revenue and subscribers in the December quarter but didn’t provide specifics. Cook also called out Apple’s launch next week of the HomePod wireless speaker. “We’re very happy with the initial response from reviewers,” he said. Time Warner Inc, which is in the process of being bought by AT&T Inc, reported better-than-expected quarterly profit and revenue on Thursday, powered by the success of its premium HBO channel. Reuters reports the New York-based company said it expects adjusted operating income in the high single digits for 2018 and ad revenue in the high single to low double digits in the first quarter. Revenue from Home Box Office, rose 12.7 percent to $1.68 billion. Analysts were expecting revenue of $1.65 billion. Amazon's stock jumped more than 6% after the e-commerce giant topped Wall Street's fourth-quarter expectations. According to BusinessInsider, the company reported its holiday-period results on Thursday afternoon. Revenue: $60.5 billion; analysts were expecting $59.85 billion. Amazon Web Services sales: $5.1 billion; the one analyst who offered an estimate to Bloomberg was looking for $5 billion. 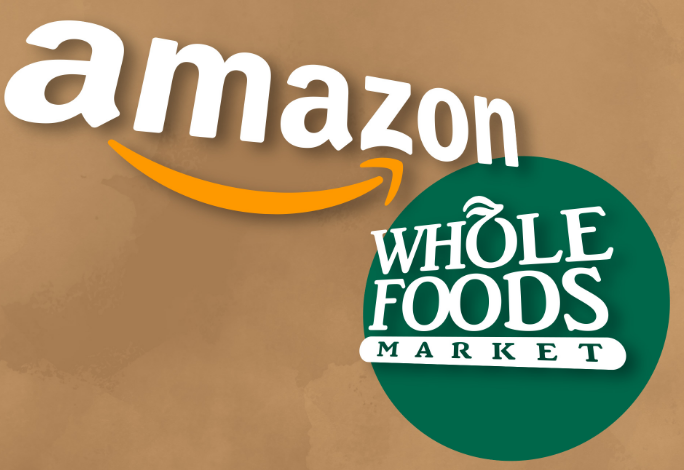 Amazon gave only scant details about Whole Foods, the grocery chain it bought last year. The internet company's physical stores, which are largely its Whole Foods outlets, collectively brought in $4.5 billion in sales in the holiday quarter. By comparison, Whole Foods as a standalone company brought in $4.9 billion in sales in its fiscal first quarter of 2017, approximately the same period a year earlier. 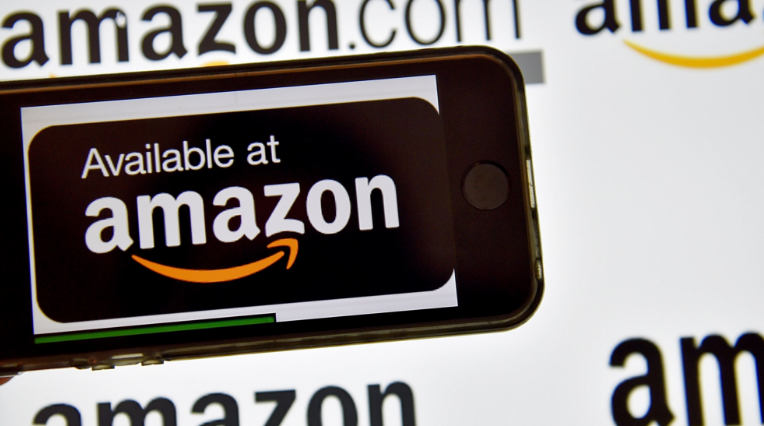 But the sales results were actually ahead of Amazon's forecasts, Brian Olsavsky, Amazon's chief financial officer, said on a conference call with investors. Amazon is focusing on cutting prices at the grocery chain, even beyond those it rolled out immediately after taking control of Whole Foods last August, Olsavsky said. But its integration of Whole Foods is continuing apace, he suggested. The company has already placed some of its automated lockers — which customers can use to pick up products or return products they've ordered online — in Whole Foods stores. It plans to list Whole Foods products on the Amazon website and to introduce a customer rewards program, Olsavsky said. 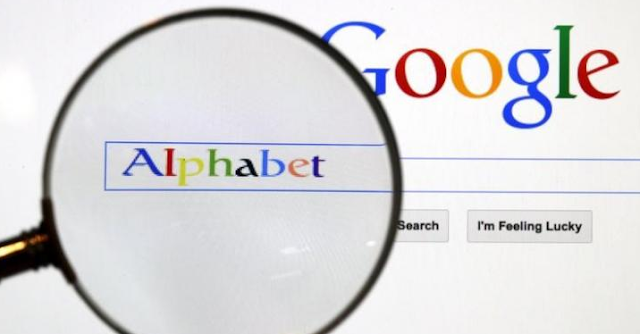 Google parent Alphabet Inc missed quarterly profit forecasts as steady ad sales growth was offset by increased spending to promote its consumer gadgets, YouTube video app and cloud computing services, the U.S. technology company said on Thursday. According to Reuters, though growing demand for pricey ads on mobile apps has kept Google’s core ad business surging, the company has moved aggressively to maintain dominance and diversify sales. Expenses jumped 27 percent to $24.7 billion in the fourth quarter from the year-earlier period. SOTU: "Americans Are Dreamers Too"